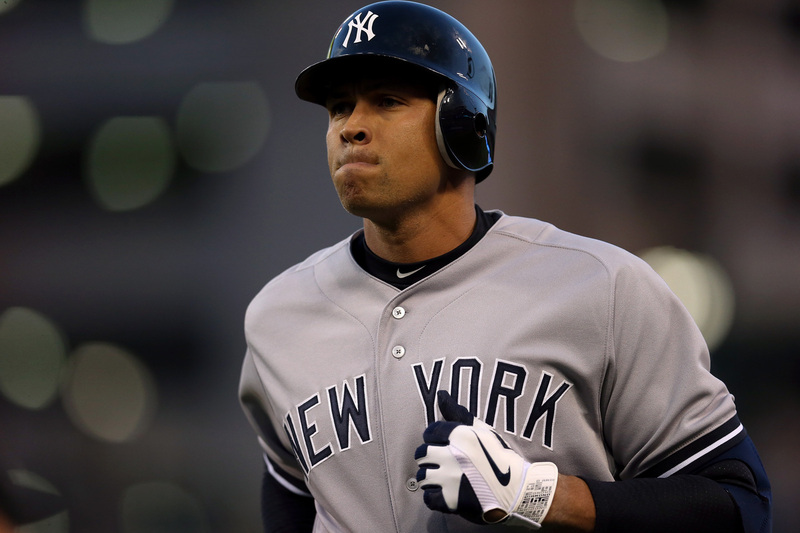 Report: Alex Rodriguez, Melky Cabrera Among Baseball Stars Linked To Doping : The Two-Way Records leaked to The Miami New Times appear to show players have not stopped doping. The paper says its interviews and records show "the war on doping has been as futile as the war on drugs." Alex Rodriguez of the New York Yankees during a game in 2012. The Miami New Times has a bombshell of a report, today: According to records leaked to the paper, a Miami clinic provided Major-League All Stars with performance enhancing drugs. The list includes the Yankees' Alex Rodriguez, San Francisco Giants outfielder Melky Cabrera, Texas Rangers' Nelson Cruz and the Nationals' Gio Gonzalez. Big deal, you're thinking. Rodriguez, for example, already admitted to using steroids back in 2009. Well the issue, reports The New Times, is that the records and interviews with employees of the now-closed clinic show that athletes haven't stopped doping and by the alternative weekly's estimation "the war on doping has been as futile as the war on drugs." USA Today frames the report by saying Major League Baseball "may be faced with its most significant doping case since the BALCO scandal rocked the sport one decade ago." The AP reports that Rodriguez denied the allegations, saying the documents leaked to the newspaper are "not legitimate." The National's Gonzalez said on Twitter that he has "never used performance enhancing drugs of any kind and I never will." He added that he had never met nor spoken to the owner of the clinic. Major League Baseball for its part said in a statement that it was "extremely disappointed to learn of potential links between players and the use of performance-enhancing substances." "We remain fully committed to following all leads and seeking the appropriate outcomes for all those who use, purchase and are involved in the distribution of banned substances, which have no place in our game. "We are in the midst of an active investigation and are gathering and reviewing information. We will refrain from further comment until this process is complete."